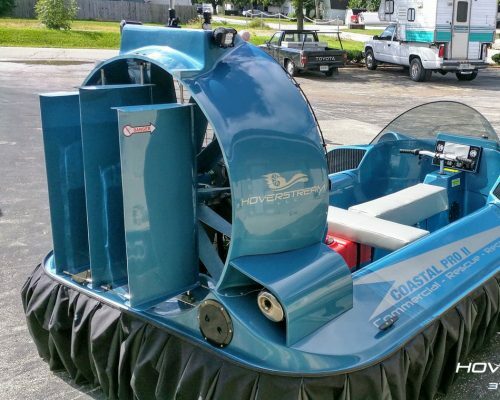 How can so many features come from one incredible hovercraft? It can with the Coastal Pro II. 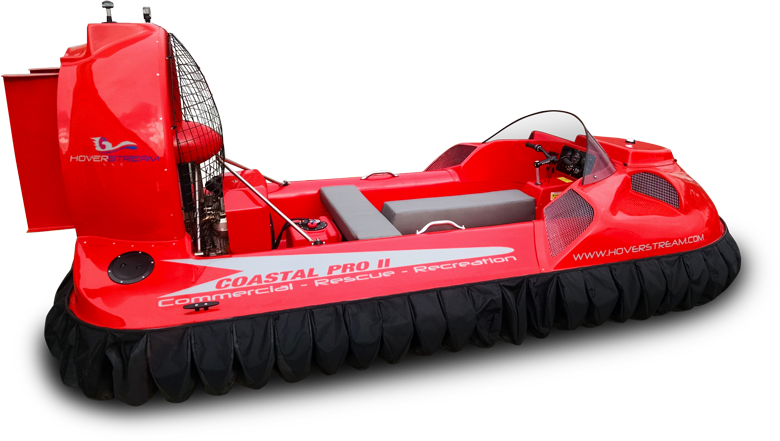 This 3-4 seat hovercraft, designed for commercial, recreational or rescue usage, has more of everything - more space, more payload capacity and more thrust. And we're just getting started! A dedicated lift engine and large footprint allow it to safely carry a huge load. That separate lift engine also gives the craft unrivaled maneuverability and full obstacle clearance, even at a standstill or low speed. The huge, aerodynamically clean thrust duct produces amazing thrust figures. Novices will learn to drive it quickly and easily, making it an excellent choice for organizations where training time is reduced over more complex machines. 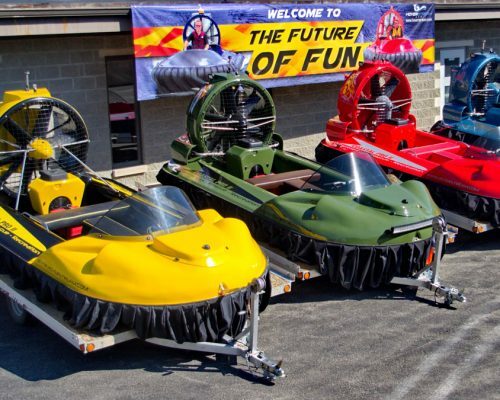 It's the ULTIMATE hovercraft - nothing else out there like it! 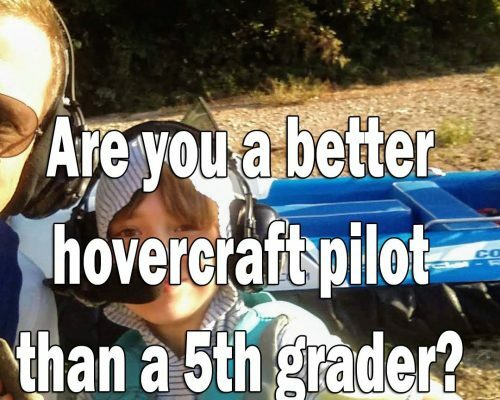 It makes a great family cruiser due to the roomy cockpit and ample storage space for camping gear, fishing equipment or anything else you might want to bring along. It provides ample space for commercial use, such as water treatment, mosquito abatement or passenger operations. It can also be set up for emergency respondors with a stretcher board and plenty of extra space for rescue gear. 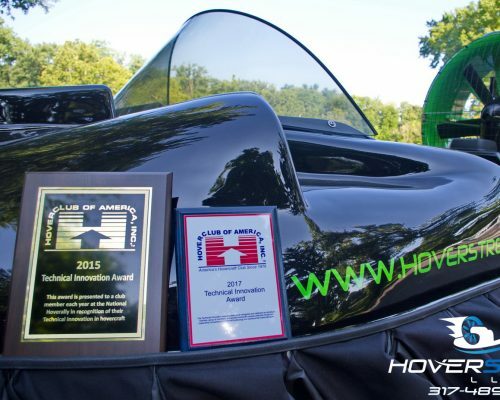 ONLY a twin - engine hovercraft can maintain a slow speed over rough terrain without compromising ground clearance. This is particularly important on ice! Learn more about commercial and rescue usage. Hull construction Fiberglass composite sandwich with honeycomb core materials and Kevlar reinforcement. Dry Weight Approx 800 lbs depending on spec. Seating Padded seating in 'T' shape arrangement for three/four persons. Clip-in rear 'bench' seat can be removed to provide deck space. Steering Handlebars with twist grip throttle control (lever style optional), indexed throttle for lift. Thrust Engine Briggs & Stratton Vanguard air-cooled, V-Twin engine with electronic fuel injection. Lift Engine Briggs & Stratton air-cooled engine. Buoyancy Foam filled plenum, positively buoyant even if swamped. Fuel Capacity 9 Gallons/34 liters in removable tank. Range Approx 100 miles, depending on conditions. Maximum Speed Approx 40 mph in ideal conditions on smooth water. Approx 55 mph on smooth ice. Cruising Speed Approx 25 mph on water and 35 on smooth ice depending on surface conditions, wind, and load. Skirt 68 individually replaceable segments. Thrust Fan 6 Blades, 1100mm duct, 91m/s tip speed. Flow straighteners 13 concentric, give extra thrust & fan protection. Lights Full LED night operation package, Navigation, and LED emergency rescue lighting optional. Lighting options are fully customizable. 7" Garmin touch screen chartplotter, fuel gauge, and voltmeter in a laser engraved dash panel. Includes an installed marine fire extinguisher along with an emergency paddle and tow rope in the under-seat storage compartment. Legally required for operation at night, this kit includes red & green sidelights, white all-around light, and amber strobe light. The Navigation Light Kit allows the world to see you. Includes a super bright 32" LED bar on front and two side facing LED's on back. This provides you with a full view of your surroundings without illuminating the cockpit at all. The Night Illumination Package allows you to see the world. Redundant dual battery system with automatic charging. Rest easy knowing that you always have a fully charged backup battery on your mission-critical hovercraft.